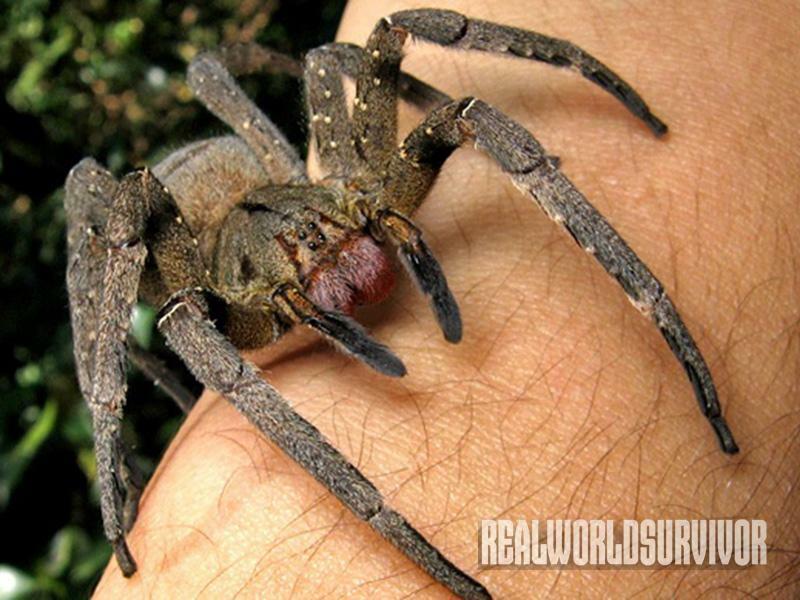 The Brazilian wandering spider is the most deadly spider in the world, as its venom can kill a human in less than two hours. A mother in South Wales got quite a surprise after finding a Brazilian wandering spider cocoon on a pack of bananas from a local supermarket. While getting a banana for her 6-year-old daughter, 43-year-old Maria Layton noticed the cocoon on the outside of the fruit. The bananas had been purchased from British multinational grocery Tesco at its Pontardawe, South Wales, branch, according to the Daily Mail. The spiders – whose Greek name means ‘murderess’ – are aggressive and have the most toxic venom in the world, with their bite causing serious injury and even death, as well as painful four-hour erections. The spider’s nest – which could have contained hundreds of arachnids – may have been exported with the bananas, which were shipped to the supermarket from Costa Rica. For more information on the story, please visit DailyMail.co.uk.